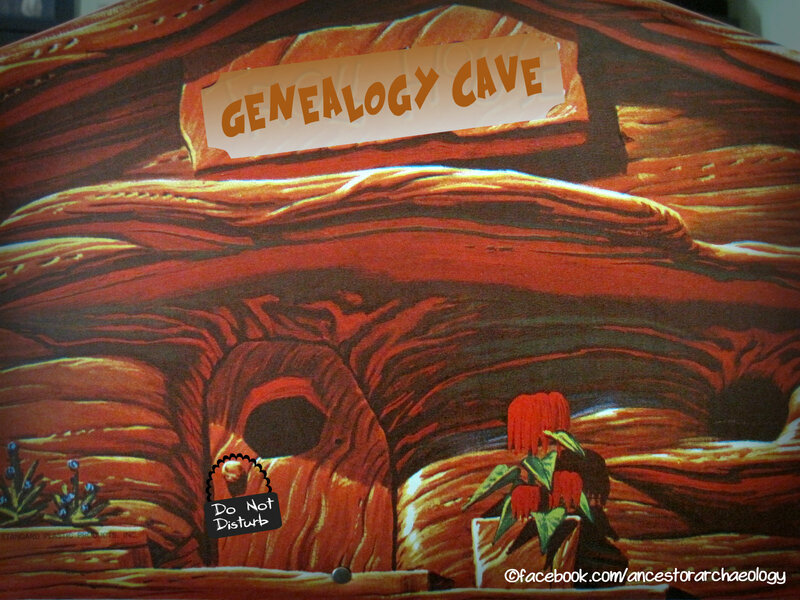 Ancestor Archaeology: Relook Early and Often: You Just Might Solve A Mystery! Relook Early and Often: You Just Might Solve A Mystery! 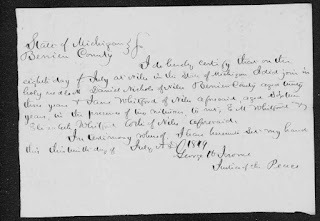 Last January 2015 I wrote my first 52 Ancestors bio about my 2nd great grandmother Jennie Whitford Faulkner. I felt I had exhausted my search for the time being and was resigned to be content with not knowing the answers I was seeking. I put Jennie aside and moved forward with other ancestors. Last week, to my utter surprise, I was contacted by a second cousin's wife. She had come across a letter I had written to him several years earlier and was curious if he had ever made contact with me. Short answer was no. But I had moved on and made significant discoveries in the time since I had first penned the letter. Eager to share my new discoveries I began taking a relook at the family we have in common. Fresh eyes (quite literally) and a year of intense genealogical immersion allowed me to see things in a new light. I revisited Jennie and laid out all the facts I had amassed. 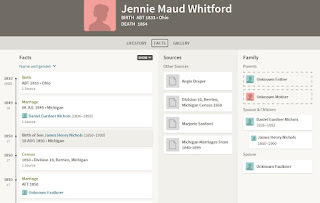 I created a new working tree in Ancestry dot com and titled it "Jennie Whitford Mystery". I plugged in everything I knew, the things I suspected, and a few questions. Then I went to work. Drat! Ok. I jumped over to Family Search and plugged in the info from the record and ......... Bing, Bing, Bing!!! Found this! Oh. Jane. You were only sixteen! And who were the witnesses? E. M. Whitford and Elizabeth Whitford. I would suspect that at least one parent had to witness to give consent for a minor. Elizabeth may well be her mother, E. M. could be male or female. Father? Brother? Sister? Add that to the "to solve" list for now. But before I got ahead of myself I wanted to check this new theory, so I utilized the aid of PFTs (public family trees). Normally I have these "hints" turned off, but now I wanted to see if other researchers had these people in their trees too. 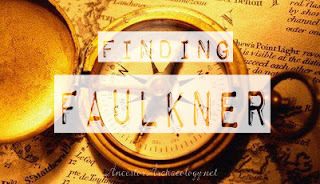 FamilySearch had one entry with the right "keyword" for me: Faulkner. But no detail. Opening it and then clicking on James' mother Jennie gave me this! On the right track indeed!! But the "sources" were merely notations of people's names and email addresses. Messaging the tree owner brought no better results. BUT, I have solved the James Nichols mystery and have some new leads to follow. And a new mystery afoot. 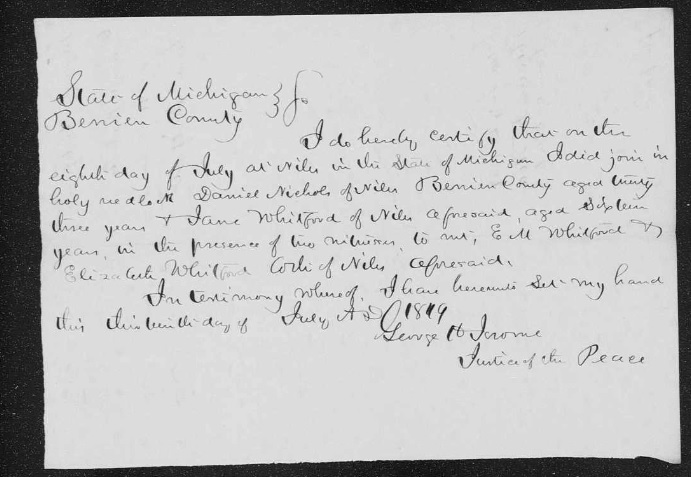 Jane, now Jennie, married my 2nd great grandfather in 1856 and went on to have three more children. Her first husband Daniel also remarried in 1856 and had another seven children. 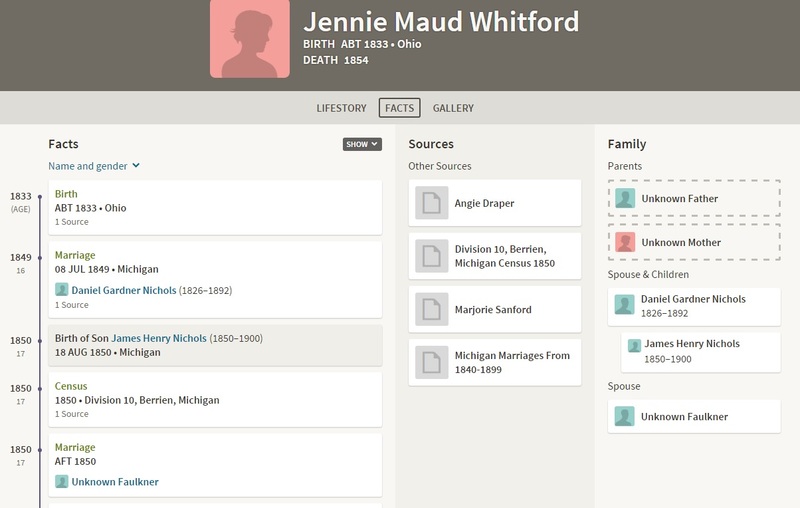 Ironically, Jennie divorced her second husband in 1878 and went back to being Jane shortly thereafter. Oh, to have a time machine! !